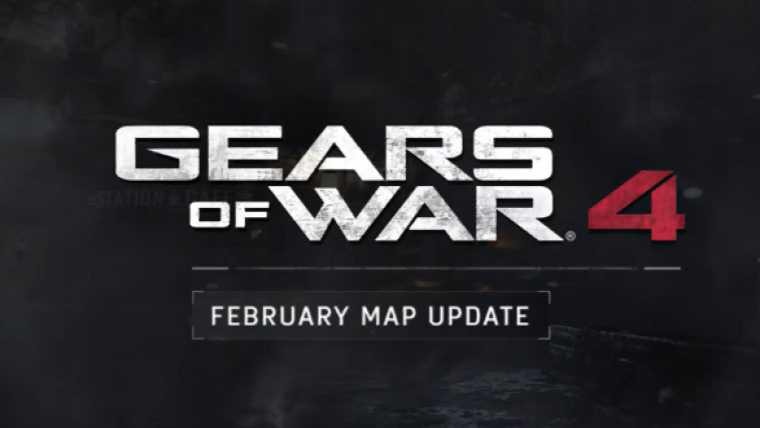 Gears of War 4 February update includes two new maps, a week-long Valentine’s event, new Gear Packs to collect and improvements to the game. More details below. Valentine event will allow you to earn new Gear Packs, daily Valentine’s themed bounties, another Craftable Character to collect, and the much-requested return of Torque Bow Tag. Impact Dark map is a remixed version of Impact that completely re-imagines the combat dynamics of the original. The new nighttime setting for Impact doesn’t just bring a new ambience. For the first time in Gears of War Versus, visibility is permanently reduced by smoke that has settled over the battlefield, forcing you closer to the action. Every weapon swap has been changed to alter the flow of the map – Snipers are now replaced with Boltoks, Dropshot replaces Torque/EMBAR and the Overkill now sits where Incendiaries used to. The result is a new version of Impact that plays completely differently to its original brethren. The combination of close range weapon swaps and reduced visibility ups the pace for a more intense version of Impact, where players need to stay on their toes to win. Support players will need to take bigger risks to impact flights and reduced visibility will make reading the battlefield tougher for even the most competitive teams. War Machine is set in a new COG Settlement, standing out with its pristine appearance and gleaming grandiose features. Compared to the original, signs of life are everywhere – from the active DeeBee security bay to the train sitting at the end of the platform ready to depart. Both maps are available to play today in the Developer Playlist for Season Pass Holders, featuring TDM, Guardian and King of the Hill game types with Double XP and 20% Bonus Credits! The update changed the spawning system from the original spawn swap solution to something entirely new – Leader Spawns. Now, you’ll respawn in a location close to your Leader adding a new tactical edge – Leaders now need to position themselves in beneficial areas of the map, while other players will have more opportunity to get back to their leader and come to their aid.